As part of their 50th anniversary celebrations, the Ironbridge Gorge Museums have created several new packages and tours for groups planning to visit the Shropshire attractions. At Coalport China Museum, groups can get creative and enjoy a full day posy bowl making workshop with skilled tuition to help make, decorate and glaze their own ceramic piece. There's time out for refreshments and a light lunch, while the day also includes an expert-led tour of the museum, all for just £35 per person including materials and postage and packing to have your bowl sent home after firing. Groups can also book a half-day curator's tour of Jackfield Tile Museum providing a fascinating opportunity to discover more about one of the UK's most significant decorative tile collections. Walk amongst some of the finest examples in-situ such as a recreated pub, London tube station, church, children's hospital ward and more. Afterwards relax and indulge with a delicious cream tea in the museum café. 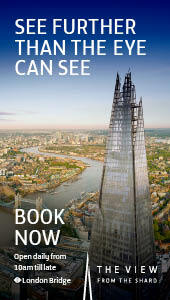 This tour is priced at £15 per person. For groups planning a visit later in the year, they can get out and about for less with the Ironbridge Gorge Museum's gold ticket winter discount offer. To mark their half-century, the Museums are offering 50% off group admission prices from 6th November 2017 to 31st March 2018. 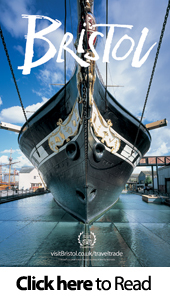 These great value tickets apply to both single site and all-sites visits allowing groups to enjoy days out and activities at the various indoor and outdoor museums on a reduced budget. The new six-hour Very Victorian Tour is ideal for groups wanting to step back in time and discover the delights and rich cultural heritage of Ironbridge. 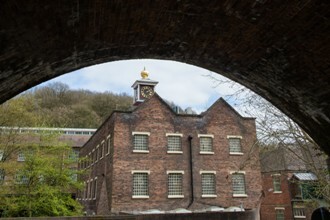 It begins with a visit to the all-new Coalbrookdale Museum of Iron and Old Furnace, where Abraham Darby's innovation kick-started the Industrial Revolution and changed the world forever. Then travels back 100 years to experience the sights, sounds and smells of a former era at Blists Hill Victorian Town. Lunch can be enjoyed at one of the Museum's cafés or groups can tuck into some traditional Fish 'n Chips. Final stop is a visit to Jackfield Tile Museum to discover the skills, craft and creativity behind the tiles that helped to decorate Victorian Britain. The shorter, four-hour Ceramics Tour would suit groups with a passion for art and design. It includes a visit to the Coalport China Museum exploring the amazing bottle-shaped buildings, witnessing the delicate art of China decoration and viewing the spectacular treasures once made in these quirky buildings. The tour continues with a short drive through the World Heritage Site and across the River Severn, pausing for lunch, and on to Jackfield Tile Museum, where 1,000s of decorative tiles are on display. Dependent on the group's interest these tours can be customised to include a visit to the Museum of The Gorge to watch a short introductory film about the World Heritage Site and a riverside walk to see the iconic Iron Bridge and Tollhouse, as well as time browsing the shops in Ironbridge town. All these packages are only available to groups of 15 plus and must be booked in advance. There is either free coach parking or a drop off facility at the museum sites; group leaders and coach drivers are entitled to complimentary admission when accompanying a group and coach drivers will be given a free refreshment voucher.